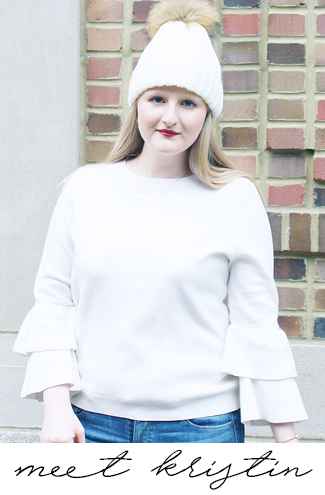 I started putting together a spring style post and noticed everything I was loving was from BB Dakota. I've been a fan of BB Dakota since I was in high school and worked in a boutique that sold it. They have have trendy, yet classic high quality items and I've had several of their pieces for years. I am really loving their spring line this year so I decided to put together my favorites for you. While I really like all the pieces here my absolute favorite is the Robinston Stripe Mini Dress, stripes are huge for spring and it has the cutest cutout in the back. All the pieces pictured here are super versatile and are perfect to wear all spring and summer. 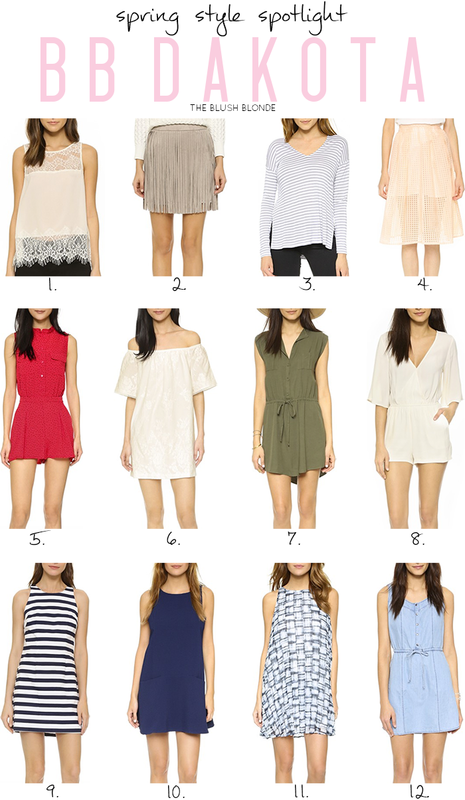 After looking at all of these I definitely think that I've found a few pieces I just need to purchase for spring! I mean the whole point of a new season is to update your wardrobe right? Today I'm linking up with Thursday Fashion Files, Spotlight, and #WIWT. I love BB Dakota too, they are just the right blend of classic mixed with trendy. That off the shoulder dress is so gorgeous for Summer! I like almost every single one of these pieces. So cute!